Did you know that 65% of a company’s business comes from existing customers? On top of that, it costs 5-10 times more to attract new customers than to keep current ones satisfied. If all of this is true then it makes sense to put more effort into retaining your existing customers. One of the easiest ways to do so is to offer a subscription service. Once your customers are signed up, you will automatically charge them each month, you will have more predictable revenue and the only thing you need to worry about is how to deliver your products on time each month. It makes your customer’s life easier: It’s hectic for people to remind themselves each month that they need to re-order and they have to make the effort to do so. Why not save them the trouble? 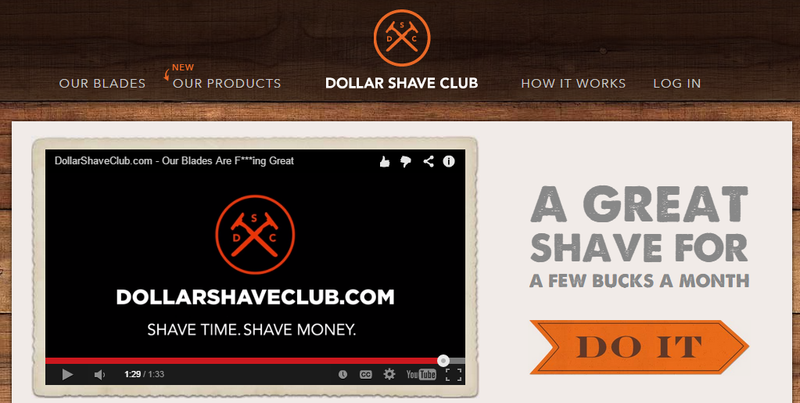 This is exactly how Dollar Shave Club competes with an industry giant like Gillette – by offering a subscription service for blades promising to save both time and money. If customers wanted to save money, with a little online research they could buy the exact razors offered by Dollar Shave Club in bulk with free shipping directly from the manufacturer. But this is without the convenient subscription model. Sales & inventory forecasting: Sales forecasting is much easier with subscription services. If you have 1000 customers paying you $99/month, you know that you can expect to make $99,000 each month. It’s true that your customer base could grow and some will cancel their subscription, but this can be factored into the equation. You will then have data to cover the average number of subscribers you will have per month, allowing for some who might decide to cancel. Subscriptions also allow you to predict how many products you need to ship each month. This means you will know how much storage you need, and you can order the required number of products from your distributors. Customer loyalty and a steady stream of revenue: Once customers have subscribed for your monthly service, it is very unlikely they will unsubscribe any time soon. Even customers who don’t like your products that much might stick with you simply because it takes extra effort to go to your website, find out how to cancel the subscription and actually do it. Most people will just prefer to keep paying you. And because customers are using your products over and over again, they will begin to feel attached to them and your brand in general. With time, this transitions into customer loyalty which is another word for a steady stream of revenue. Loyal customers are not only less likely to stop using your products, but they will also be likely to recommend them to others, which will bring you new business. Stand out from your competition: If your competitors are not offering a subscription service, this is a great way to differentiate yourself. This could be the main reason customers decide to buy from you if others are not offering it. 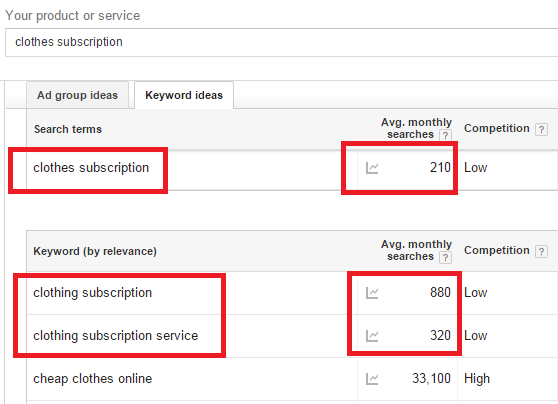 In fact, customers might be searching for a subscription service in your niche already. What can you offer/sell as a subscription? You’re probably thinking already: that sounds pretty good but can I offer just anything as a subscription? Pretty much is the real answer. We decided to include a list of the types of products you can sell this way. 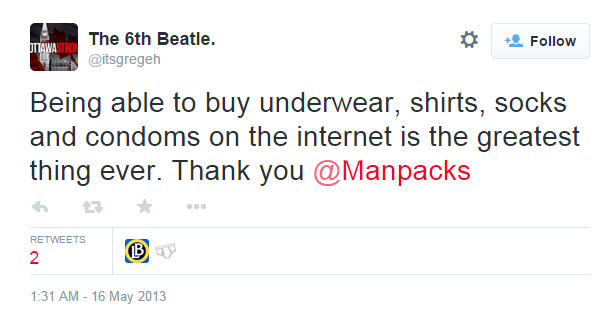 Undergarments & necessities: In this category, we have everything from underwear, socks, razors, condoms, etc. 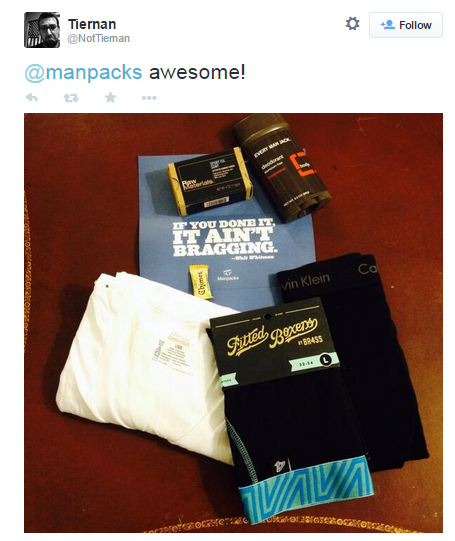 Some people are even posting pictures of their products on Twitter. Overall, most people are pretty happy with the service and it looks like they are staying for a long time. This person tweeted that he’s been a customer for over a year now. Beauty products: In this category, we have products like skincare, makeup, shampoo, etc. 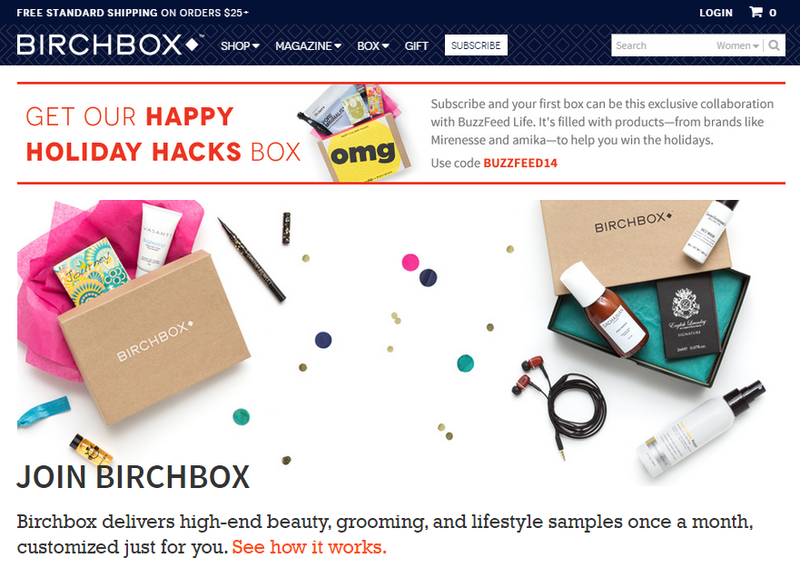 A great example of an eCommerce company offering a subscription in the beauty industry is BirchBox. The company allows you to carefully select all the products you want to receive on a monthly basis according to your personal needs. The subscription service is available for both men and women, and it’s priced at $10/month for guys and $20/month for girls. Clothing: This includes products such as shirts, jeans, belts, shoes, etc. Stitch Fix is a site in this niche, which offers a subscription service for women’s clothes. Customers create their style profile and based on that, the company handpicks 5 items for them each month. Then they have the option to keep what they like and return the rest. The company charges a $20 styling fee, which can be used towards the final order. The average item is priced at $55 and the customer also receives an additional 25% discount if she decides to order all recommended products. Accessories: Products in this category are jewelry, watches, scarves, etc. Take a look at Cate & Chloe VIP, which sends women 2 pieces of designer jewelry each month ($200 in value) for only $39.99/month. Baby products: Products in this category are diapers, toys, etc. A great example is Citrus Lane. All plans include free shipping. Food: Products in this category includes groceries, supplements, etc. A great example in this market is Healthy Surprise, an eCommerce store that offers subscription services for healthy snacks. The company allows users the convenience of having healthy food delivered to their door on a monthly basis. All plans include $25 gift cards, free shipping and a brochure with recipes and fun health facts. 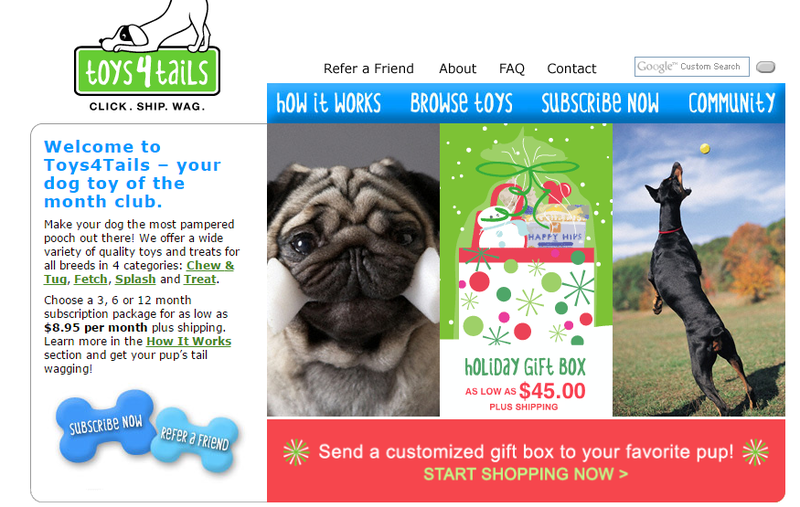 Pet products: The products in this category include mainly food & toys for your furry loved ones. 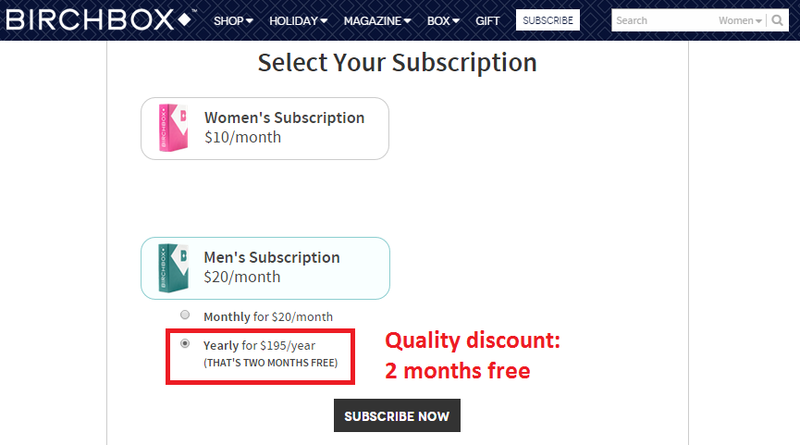 Customers are allowed to choose from 3-, 6- or 12-month subscription packages and pricing starts at just $8.95/month, which also includes free shipping. Office supplies: Products in this category include pens, paper, etc. How do you convince your customers to sign up for a subscription? Once you pinpoint the type of subscriptions you can offer, it’s time to figure out how to sell your services to your clients on a subscription basis. Loyalty discounts: The idea of loyalty discounts is very simple – those who sign up for a longer time period pay less. If your customers realize they’re going to save money if they stick with you in the long run and they’re buying from you presently, they have no reason not to sign up. Birchbox offers a quality discount if you decide to sign up yearly ($195/year) instead of monthly ($20/month). In this case the customer gets 2 months for free. Promotions and free products for members only: Another approach is to offer promotional offers only to monthly subscribers. If you think about it, this is exactly what Amazon is doing with Amazon Prime. Unlimited music streaming, ad-free access to over a million songs and hundreds of custom-built playlists. Currently Amazon has around 20 million subscribers to Amazon Prime. FREE and faster shipping: Why not offer free and faster shipping for monthly subscribers. If it’s doable, then why not deliver orders the same day instead of the next day? By knowing in advance when you need to deliver an order, it’s easier to do so on time. Also, it’s much easier to offer free shipping. 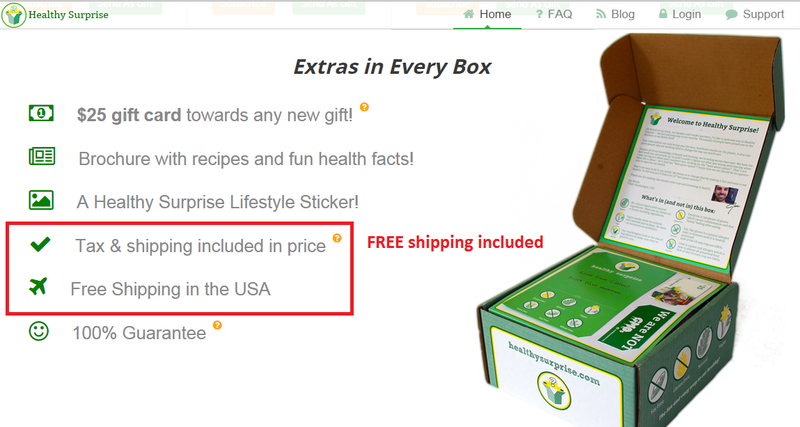 This is what Health Surprise is doing – offering free shipping for its monthly subscribers for all plans. 30-day free trial or cancel at any time: Customers might feel a little nervous to try your new subscription service, so why not offer them a 30-day free trial. Once they try it, you will have the chance to convince them it’s worth it. This is exactly what ShopRunner is doing – they allow their customers to try out their service free for 1 month. Then the ones who like it can choose between paying $8.95 per month or $79 per year. Save your customers time and make them happy by communicating value: If your customers don’t need to think about what and when they need to order, this will save them a lot of time and energy. Another benefit of your subscription services could be making someone happy, as they’ll look forward to receiving it each month. This is what Citrus Lane is counting on. The main benefit they offer to their customers is that the parents will delight in making their children happy with a small gift each month. How to handle payments & shipping? Choose the right software: For Shopify users, there is some bad news, since the platform doesn’t support recurring billing though many have requested this feature. However, you can use ReCharge to set this up on Shopify. ReCharge is a recurring payment solution specially created for Shopify users, which integrates perfectly with Stripe and PayPal. It allows you to have multiple different subscription plans. You can customize how often you want to charge, which products are included in the plan, percentage discount for the subscription, etc. You can also charge your customers for shipment and taxes if you want to. The recurring billing is integrated into your existing checkout flow. This means that customers can purchase both subscription and non-subscription services/products at the same time. 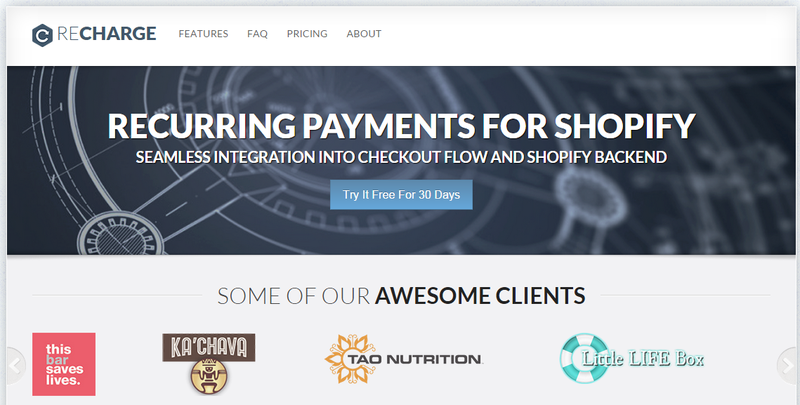 The checkout pages for the recurring billing is hosted on a secure server that connects directly to your payment process and Shopify. The app automatically updates orders on Shopify on each billed order. This synchronization allows users to connect orders to all other integration on the platform (fulfillment, inventory, accounting, etc). ReCharge also provides their own backend. It gives you full stats and accessibility of what’s going on. All plans come with phone + integration support and a 60-day money-back guarantee. There is also a 14-day free trial. PayPal is another option you can use as a recurring payment solution. With it, customers can purchase automatically recurring subscriptions from your website, or even by using a link in an email. The service allows you to accept credit card and bank account payments and can be fully integrated with your website in a few easy steps. It’s easy to implement, and there are no up-front costs. You will be charged only per transaction as normal payment. The downside is you will most likely spend much more money since the transaction fee is between 3.4% and 1.9% depending on your revenue. 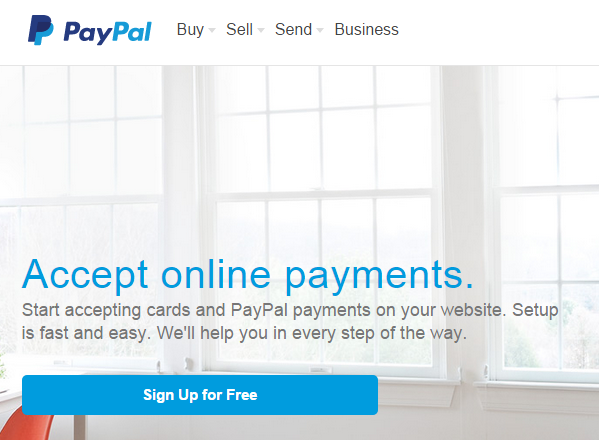 Detailed transaction records are available on PayPal’s website. 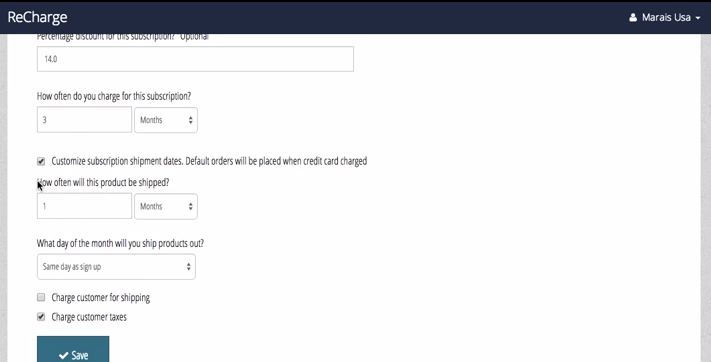 You also have the option of creating invoices on the site. To take advantage of this, first, you need to be a Business or Premium user. 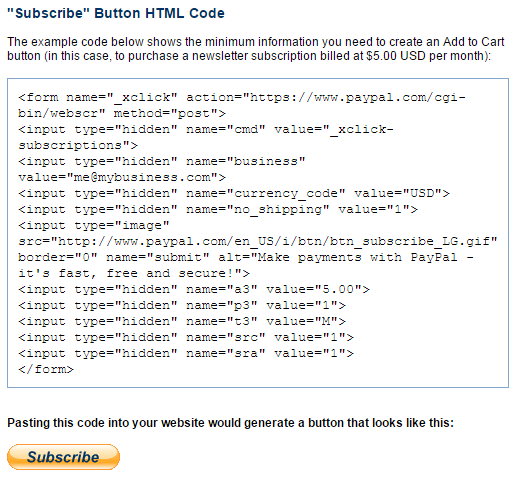 Unfortunately, with PayPal you can’t integrate your orders with Shopify and other integrations. Connect it with your store: The best option is to leave this to a developer but still, it’s good to have general knowledge of how to do it yourself. ReCharge is offering integration support over the phone. To use it, you’ll need to have integrated Stripe as a payment gateway. 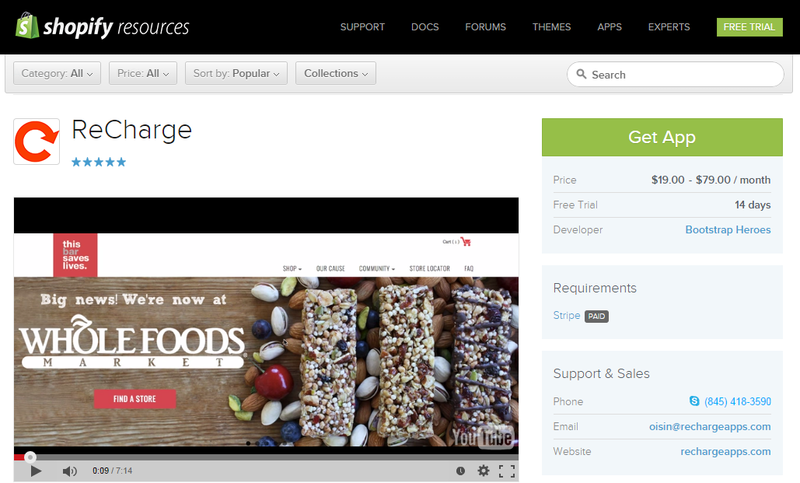 To use ReCharge simply go to its page on Shopify’s App Store and get the app. It automatically integrates with your store in seconds. Set up your plans: Too many options will confuse your customer, and he will never decide what he wants to order. Most subscription-based services offer 3 or 4 plans from which people can choose. This is the case with the Dollar Shave Club as well. 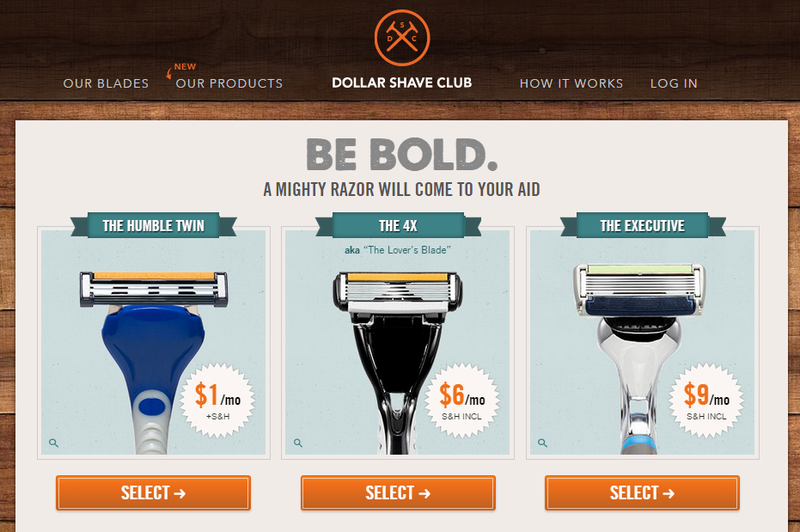 The difference between the plans is very clear – you pay more per month and you get better razors. Take care of invoicing and taxes: Luckily ReCharge takes care of invoicing for you. Taxes and shipping are calculated automatically on each order. This is also integrated with the accounting software you’re using for your store. Manage shipping: With ReCharge you can also manage shipping. From the app you can manage when the products/package is to be shipped and the frequently. For example, you could have a subscription plan that is paid every 3 months but products are being shipped each month. 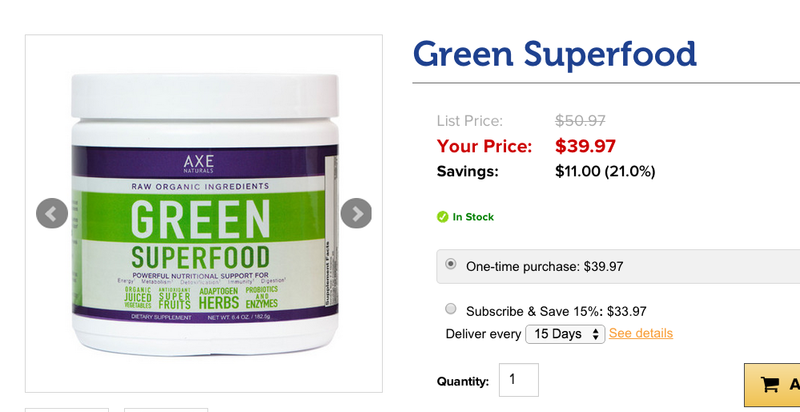 Health Product Subscription Dr Axe: Customers have the option to make a one-time purchase or a subscription with a 15% discount of the product. 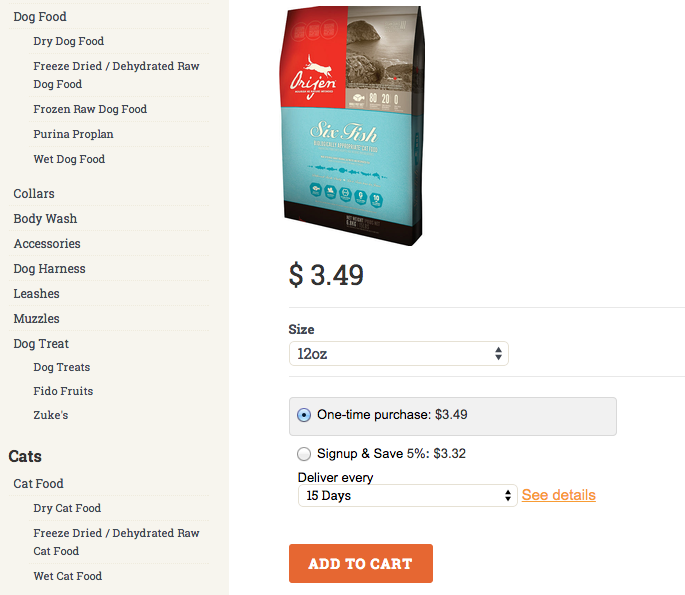 Pet food subscription Pet Food Outlet: Customers are able to choose different sizes and frequency of a variety of pet foods for their pets. Coffee subscription Artis Coffee: Artis Coffee is another subscription which allows the customer to choose the different types, sizes, and frequency of their order. 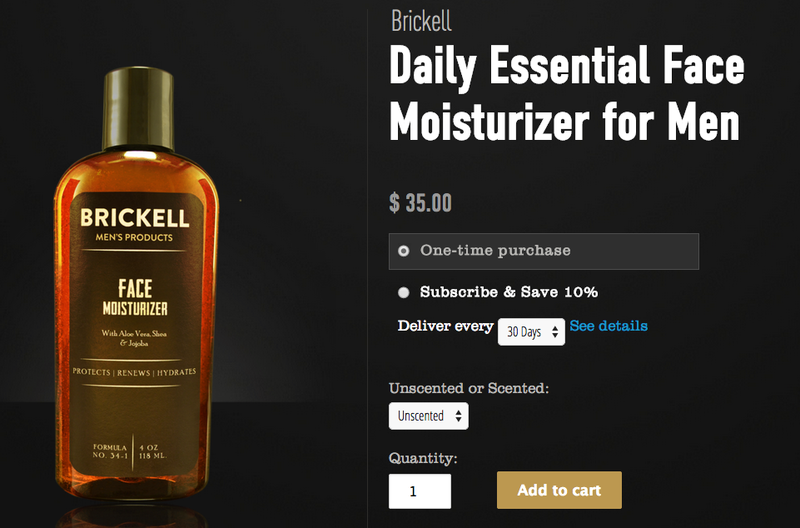 Facial products subscription Brickell Men: Customers can set up recurring billing so they don’t have to re-order every time they need new shaving supply. Recharge allows them to fully change their needs depending on how often they shave. 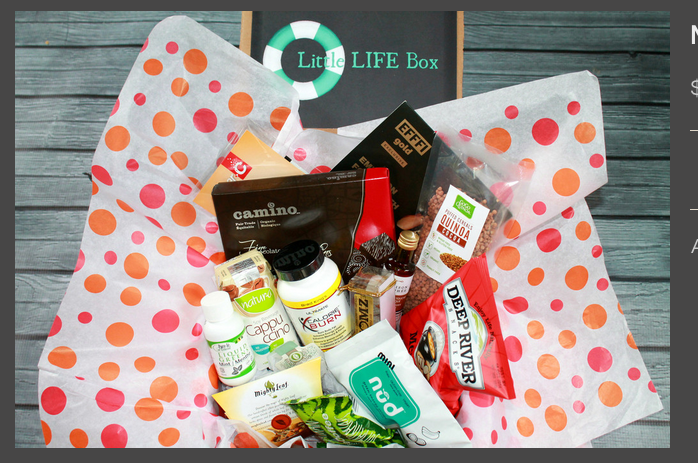 Healthy snack subscriptions Little Life Box: Customers are able to subscribe to different health snack box combinations. Juice subscription Pint In Season: Customers are now able to subscribe to ongoing juice deliveries to their house. They can fully customize the best subscription options. You can get started with ReCharge here. Setting up a subscription service for your online store is not rocket science. 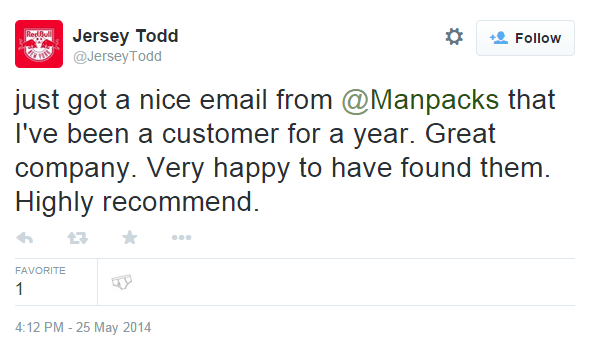 All you need to do is find out what people need and want to buy each month and then offer it to them. Also, you must set up the right software to handle the recurring payments, shipping, and invoicing. And the benefits are clear – you will have loyal customers, predictable revenue and you will stand out from your competition. Many eCommerce sites are finding this model is working extremely well. Birchbox has over 400,000 subscribers, while Amazon has over 20 million. How many can you get if you start offering subscription services tomorrow?